In April of this year (2017), the Supreme People’s Court (SPC) issued its judicial responsibility guidelines. 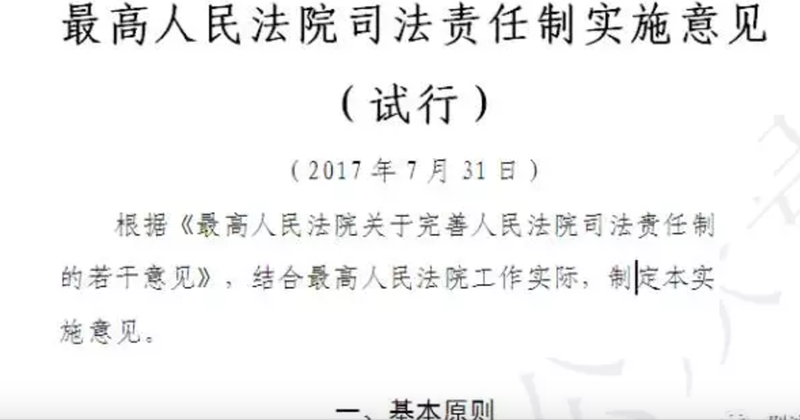 At the end of July, the SPC issued a 73 article implementing opinion (最高人民法院司法责任制实施意见（试行）(Implementing Opinion), which went into effect on 1 August 2017. There have been many summary reports in the legal press, but the full text was not found until 11 August. 2017 It has since been published by several Wechat accounts, but as of this writing, no official text has been issued. The policy basis for the responsibility system links back to the 3rd and 4th Plenum Decisions. Senior Party leadership (the Central Leading Group for Comprehensively Deepening Reforms) approved the SPC’s responsibility system. The document establishes operating rules for the SPC after this latest round of court reforms, and therefore sets guidelines for the lower courts. It can be expected that the lower courts will issue corresponding documents. Through the Implementing Opinion, it is possible to see how much autonomy an individual judge/three judge panel has and what matters require approval by senior SPC leaders. Opinions (as this blog has previously explained) are not judicial interpretations but a type of judicial normative document. A recent Wechat post by an SPC commercial subsidiary, Faxin (法信), described them as judicial guiding documents (司法指导性文件). That is the terminology being used for them in a series of books published by the People’s Court Press. Inconsistent legal terminology is not a new phenomenon. The basic principles of the Implementing Opinion are said to implement central authorities’ requirements, let those who hear cases bear responsibility, clarify how cases are to be dealt with and put in place the Party group’s responsibility for enforcement (the phrase “Party group” actually is mentioned three times) and case handling. It appears that some provisions memorialize current practice, while others set out new rules. The Implementing Opinion specifies roles of different personnel and institutions within the SPC such as the court president (and vice presidents), heads of divisions, professional judges committee, judicial committee, presiding judges, judges in charge of cases, clerks, and judicial assistants. It provides guidelines on how cases are to dealt with, from case acceptance, random case assignment, to issuing decisions. Article 51 requires the judge responsible for the case （承办法官) to draft the decision reached according to the majority view, indicating that the role of responsible judge has administrative overtones. If not so, the judgment would be drafted by one of the judges who agreed with the majority view. Article 58 retains existing special procedures (including special standards for transparency) for certain criminal cases, such as death penalty cases, cases involving foreigners, overseas Chinese, Hong Kong, Macau, and Taiwanese Chinese. 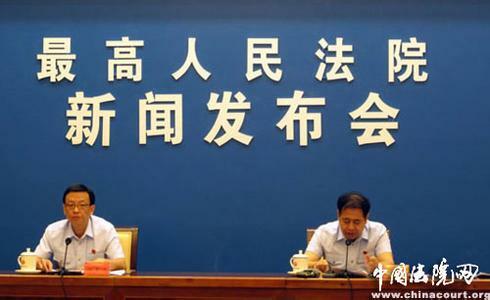 Article 61 provides the Central Commission for Discipline Inspection (CCDI) representative stationed at the SPC can be a member of the judicial committee (this seems to be analogous to the procedure under law under which a representative from the procuratorate can take part in judicial committee meetings). Additionally, anti-corruption officials stationed in each division can participate in professional judges committee meetings and collegiate panel discussions. Article 61 does not require their views to be adopted. It could be that their views are considered more seriously if discussions relate to matters regarding which they are competent. Article 64 requires certain types of cases to be submitted for approval to higher levels of the SPC, including cases involving mass incidents, that will have an effect on social stability; difficult and complicated cases that will have a major effect on society; cases that will conflict with prior SPC cases; those that indicate the judge violated the law; death penalty review, major criminal cases, cases involving requests for instructions involving foreigners, overseas Chinese, Hong Kong, Macau, Taiwanese Chinese. 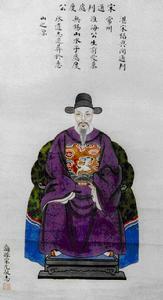 The vision for the reformed SPC remains a court with administrative characteristics （官本位), with concepts derived from other jurisdictions (judge’s assistant would be an example), that enables Party guidance in sensitive cases and its operations to reflect changes in Party/government policy (serving the actual situation), but seeks to be a more professional and accessible institution, hearing cases in a professional manner. It can be surmised that certain provisions from the Implementing Opinion will be incorporated into the revisions of the Organizational Law of the People’s Courts currently being drafted. 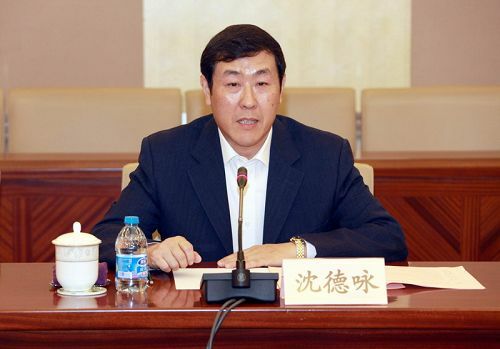 Meng Jianzhu, Politburo member and head of the Communist Party Central Political Legal Committee, held a meeting in late March (photo above), to convey Xi Jinping’s message–those in leadership positions must do all possible to ensure that judicial system reform responsibility targets are basically achieved before the 19th Party congress (努力实现党的十九大召开前基本完成司法体制改革努力实现党的十九大召开前基本完成司法体制改革任务的目标). For those not familiar with Chinese political-legal jargon, “judicial system” (司法体制) means here the political-legal institutions–the courts, procuratorate, public/state security, and justice administration. “Responsibility and targets” are also Chinese political jargon. Xi Jinping’s message dates from early January, when he highlighted this goal in instructions transmitted to the Communist Party Central Committee’s national political legal work conference. He emphasized that the cornerstone of the judicial system reform is the judicial accountability system. Part of the message is that 2017 is a critical time, during which there is a “decisive battle” for deepening judicial reform, the battle intended to achieve those targets. “Decisive battle” is also a core part of Chinese political jargon. Since late March, Supreme People’s Court (SPC) President Zhou Qiang and other senior SPC leaders have been publicizing the target of completing judicial system reform, particularly the judicial accountability system, before the 19th Party Congress. The SPC leadership has been doing that through meetings, both of the SPC itself (and the circuit courts) and the provincial-level courts and through SPC media outlets. 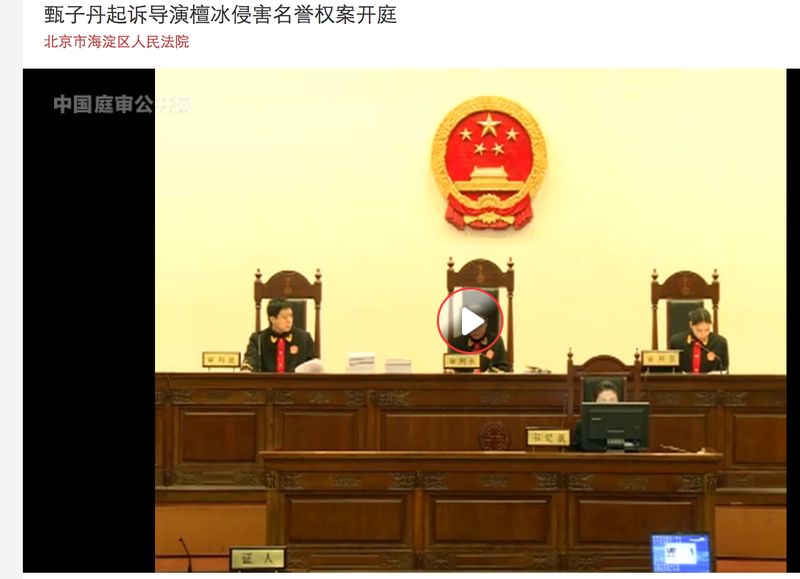 President Zhou Qiang did so during a recent visit to Anhui, while on April 7, executive vice president Shen Deyong, vice-president Li Shaoping, and Political Department head Xu Jiaxin transmitted that message on a nationwide court video conference. This message is likely to be repeated in the months leading up to the 19th Party Congress. In recent days, the SPC’s judicial reform office has been explaining these reforms to the public that reads SPC professional publications, such as the People’s Court Daily and China Trial, with some of the core content in the form of FAQs. The reforms outline the way a post-reform court should operate. Some of the points were previously set out in the SPC’s February, 2017 judicial reform white paper. Why is the responsibility system the critical part of the judicial system reform (司法体制改革的“牛鼻子”)? Answer: because Xi Jinping said it, and judicial power and accountability/responsibility go together; accountability limits power. What is the responsibility of a presiding judge? Answer: take the lead in a case, by outlining the hearing of the case, allocating responsibilities, taking the lead at trial and in post-trial discussions, and in cases of significant differences of opinion, submit the case to either a specialist judges’ committee or judicial committee. How should the system of court president’s and division chief’s hearing cases be improved?Court leading cadres have multiple identities, including Party administrative responsibilities, and they must concurrently plan, announce and implement Party construction and adjudication [substantive] work, and for those who are quota judges, they should hear some cases too. Those cases should depend on a person’s background and strengths and should be major, difficult, complicated, or new cases which are representative. When judges are randomly assigned to cases, how should the judge in charge of the case be determined? Answer: random selection should be primary, supplemented by assigned cases. How should the reform of having judges sign judicial documents [judgments/rulings, etc.] be understood? Answer: Judges who hear cases should sign their judgments and senior court leaders should no longer review or sign the judgments on the cases when they had not been personally involved. How should the reform of having a conference of professional judges be understood? Answer: judges in different substantive areas can organize committees to provide their views to other judges on problematic issues, reducing the number of cases referred to the judicial committee. In courts where there are many judges, how large should the conference of professional judges be? Answer:basically, it depends on the profile of the cases and the number of judges. What type of management and oversight responsibilities will a court president have besides hearing cases? He (she) will monitor judgments and rulings, sometimes recommending the matter go the judicial committee (see further details in the white paper). What type of management and oversight responsibilities will a division chief have in addition to his responsibilities hearing cases? As delegated by the court president, a division chief can review matters such as extending a defendant’s period of arrest or detention, or other compulsory measures or extend the period for submitting evidence. When judicial power is delegated down in judicial reform, how can it be monitored? The old system of having senior judges sign off on judicial documents, including ones that they had not heard, and they are also forbidden from approving cases in an indirect way, such as giving oral instructions. Senior judges should be working on a macro, not micro level. How can the judicial committee reform move forward reliably? Answer: from now on, the focus of the work of judicial committees should change from discussing individual cases to summarizing experience, and discussing major cases, with exceptions (foreign affairs, social stability, etc. (see the analysis in the white paper). These questions and answers reflect the challenges the SPC faces in moving the Chinese court system (including its own operations) away from the traditional model that fuses judicial authority with traditional Chinese [Communist Party] administration. The post-reform concept of the judiciary is a more professional judiciary that gives judges greater professional autonomy (and therefore can retain the sophisticated talent that is leaving for law firms) but retains control in specified areas. How successful will these reforms be in moving courts and judges away from old patterns of behavior remains to be seen. It seems to be happening in at least some of the pilot courts (from my discussions), but that does not mean these will be successful in other less sophisticated areas. Presumably, the SPC’s judicial reform office is monitoring the pilots in a more systematic way. The reasons for stressing the importance of accomplishing these reforms by the 19th Party Congress are assumed, not explained. I understand it as intended to show that the judicial system reforms that have been undertaken in recent years are correct, have accomplished what they were intended to accomplish, and are effective in improving China’s judicial system. I expect that the system described above is reflected in the redrafts of the People’s Court Organizational Law and the Judges’ Law. To what extent will these reforms (apparently accompanied by increased political study) be able to retain the talent currently in or being recruited into the courts? Much has been written on why Chinese judges are resigning (but not enough about Chinese prosecutors–to be the subject of a later blogpost), but this blogpost (written on the road) adds some more detail and analysis. Comments (and criticism) are welcomed. 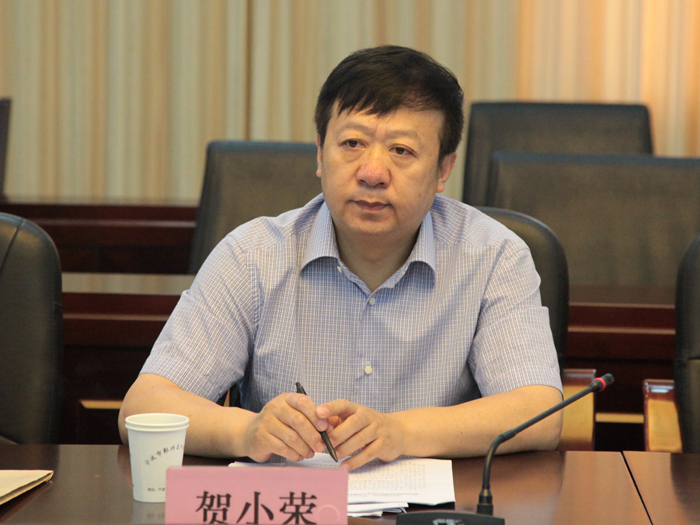 In May (2016), Chen Haiguang, the head of the judicial management department of the Supreme People’s Court (SPC) revealed that over 1000 judges had left, which he described as about 1% of the judiciary. The number appears to be an underestimate. The legal Wechatosphere often mentions that a Wechat chat group of former Beijing-based (including the SPC) judges has reached its maximum of 500 members. More data and analysis comes from two sources: a survey conducted in the fall of 2015 and published by Wusong (a big thank you to another “authoritative person” for bringing this to my attention) and a recent article by one of the more popular Wechat public accounts, Empire Lawyers ( 法客帝国). Six hundred former judges responded to the survey, conducted through social media, of which 72% had left within the past year, while almost 19% had left within the past 2-3 years. It is mostly men leaving the judiciary, out of proportion with the ratio of men:women in the judiciary (2:1). (This confirms what I have been saying when I have spoken on this issue). The survey gives the rationale that men are more interested in a challenging career than women, and are able to deal with a more pressured life. Judges are resigning in their 30’s, for the most part (see below), and my own analysis is that the reason women are staying in the judiciary is that (married) women at that age also have responsibilities to children and elderly parents. Women are prepared to deal with the stresses of working in the judiciary because the work is more “stable,” and does not involve marketing work after business hours. Over half (55%) of the judges resigning are in their 30’s. Most (70%) have been in the judiciary for at least 6 years, with practically all (91%) with at least 4 years of experience, over 99% with an undergraduate degree and 37% with a master’s degree. Most judges who have resigned recently are from the basic level (78%) and intermediate level courts (18%). Many (almost 80%) of the judges who had resigned were in the civil/commercial divisions, with division chiefs and deputy division chiefs accounting for 14% and 19% respectively. professional risk and lack of professional respect (31%). Those that have resigned are generally pessimistic about judicial reform (47%) or can’t say for certain whether it will be successful (32%). Their “judges’ dream” is to be able to try cases independently, without reporting their case up to the leadership, worrying about parties to the case petitioning because they are unhappy with the outcome, etc. Another analyst (the editor of the Wechat account Empire Lawyers) gave three reasons for the wave of judges submitting their resignations. Why Wechat? Because it has given them a new universe of social connections outside the judiciary. It also gives them easy access to information about the life of former judges similar to themselves. Moreover, through Wechat they can create a circle of friends and connections who can provide moral support when they have made the decision to resign. According to the editor, Wechat is often a vehicle for judges preparing to resign. Some judges establish their own Wechat public accounts while still in the judiciary, publishing articles that bring much more attention from legal professionals to their expertise than their judgments ever do. The increased stresses of judicial reform are another set of factors–the lifetime responsibility system, case registration system, and particularly, the bright line quota on the number of judges (no more than 39%) means that promotions will come more slowly than previously and others will not even be eligible to participate in the examinations for qualifying as a judge. Q: Do you regret resigning from the court? Q: Why do you regret it? A: I regret that I left too late. Over one year has elapsed since the Supreme People’s Court (SPC) has implemented the judicial reforms set out in the February, 2015 4th five year plan for reforming the judiciary. While thousands of words have been written in Chinese and English, some praising, criticizing, mocking, and bemoaning the reforms, it was only in late February, 2016 that the SPC issued a comprehensive official assessment, focusing on its achievements. That official assessment takes the form of a bilingual white paper (White Paper) issued in early March (but full text released on-line only in English), plus a section of President Zhou Qiang’s work report devoted to the judicial reforms, a first for the SPC. I surmise that it was approved by the Judicial Reform Leading Group. This blogpost looks at the vision for the Chinese judiciary that the White Paper conveys, by looking at several sections. The description of the reform process in the first section of the White Paper tells us who/what is driving the reform process, the nature of the process, the core issues, and how the judicial reform process is being monitored. During 2014-2015,13 out of 19 plenary sessions held by the Central Leading Group for Deepening Overall Reform involved judicial reform, where 27 judicial reform documents were adopted. A partial list of those 27 documents is found here. The SPC has a leading group in charge of judicial reform, replicated at the provincial level, and any judicial reform plans piloted by them need to be approved by the SPC or above (the 4th Judicial Reform Five Year Plan states this). unified management of personnel, funds and properties of local courts below the provincial level. These four measures will be piloted throughout the country in several rounds before they are implemented nationwide. From the description of the reforms we can see that the specific reforms discussed in the remainder of the report have been cleared by the Party leadership. It seems reasonable to assume that each reform involved hundreds of hours of policy paper drafting by SPC staff and internal and cross-institutional discussions, and responses to comments during those discussions. 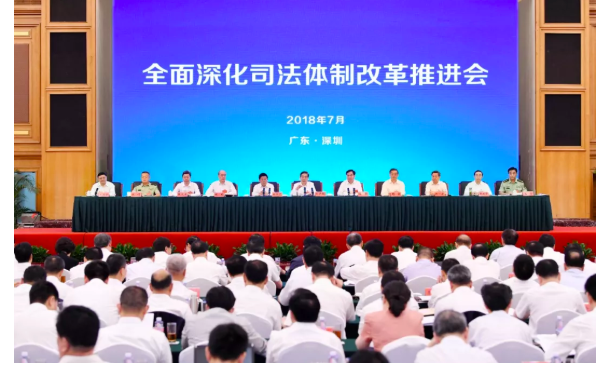 What the White Paper did not mention is that the Central Leading Group for Deepening Overall Reform and the Central Leading Group for Judicial Reform established their own inspectorate for monitoring the progress of reform,including judicial reform, (reviving a traditional institution). It is unclear which reforms will be targeted this year for inspection. The separate inspectorate seems to indicate that these Central Leading Groups want their own source of information on how reforms are being implemented. a summary of the policy thinking on judicial appointments and funding of the local courts. On judicial appointments, judges will be selected by judicial selection committee at the provincial level in terms of professionalism, and will be appointed and removed according to common standards. This is a push in the direction of professionalism, and away from the phenomenon noted in the past few years of having chief judges who lacked a legal education. On the funding issue, the Central Government will fully guarantee the funding of the local courts. The provincial fiscal departments manage the funds of local courts below the provincial level, the local courts will submit their budgets to the provincial fiscal departments, and budget funds will be appropriated by the centralized payment system of the national treasury. Fuller discussion of cross-administrative district courts to hear administrative cases–piloted in Beijing and Shanghai and other locations, under the umbrella of a policy document of the SPC that has not been made public. The concept is to have cases against local governments heard outside of the area in which they arose. The SPC recent policy document on the development of the greater Beijing area has further content in that area. This section also discusses the following reforms, previously discussed: circuit courts; cross-administrative division courts; intellectual property courts (by Mark Cohen, chinipr.com); administrative cases being centralized in one court (Shenzhen is one of the pilot project venues); maritime courts; environmental protection divisions; official interference. regulations on the jurisdiction of different levels of courts in civil cases (described in this blogpost). These reforms look to do a number of things that are significant within strictures of the Chinese system: distinguish judges from other Party cadres and give them better status and pay; break down or reconstitute some of the basic internal structures of the courts that have facilitated corruption, unjust cases, and discouraged talented judges; abolish performance indicators that have been poisonous for judges and litigants alike. 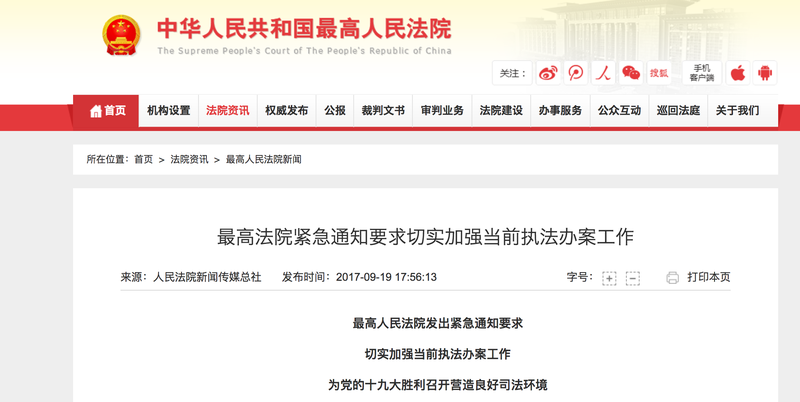 The vision that the SPC has for the Chinese judiciary and judges can be seen from the description of the reforms above. The SPC intends to create a more professional judiciary (with a lower headcount), that is better paid, more competent, has performance indicators that look more like other jurisdictions, with an identity and operating mechanisms separate from other Party/government organs, that will be more autonomous, no longer under the thumb of local authorities, but operates within the big tent of Party policy. To be incorporated in the judicial reforms, the implications of each measure must have been thoroughly discussed by the Party leadership and the Party leadership is using its own institutions to monitor results. Will the judicial reforms achieve their goal of making people feel justice in every case? For that, the jury (or is it the people’s assessors(also being reformed)?) is still out. Implementing the judicial reforms in China requires an overhaul of China’s current basic legislation, the Judges Law (法官法）and the Organizational Law of the People’s Courts (人民法院组织法). The Supreme People’s Court (the Court) media outlets have recently reported that on 23 October the first meeting was held of the drafting group to amend the Judges Law, with Court Vice President Shen Deyong chairing the meeting, and senior Court judges in attendance. The report notes that the focus is on securing the independence of the courts (but having them remain firmly under Party control). Judge Shen mentioned that issues under consideration include: criteria for the selection of judges; protection for judges undertaking their duties; evaluation of judges, judicial assistants, salary scales, retirement and insurance, and rewards and punishments. Part of the preparatory work for amending the Judges Law is to include field research and surveys, particularly of front-line judges in the judicial reform pilot areas. The drafting group will designate some local courts and some universities/research institutes to assist with the drafting. The drafting of the Judges Law will need to be consistent with the principles of the amendment of the Organizational Law of the People’s Courts and the work of the Central Leading Group on Judicial Reform. This summer, the Court convened an initial meeting to discuss amending the Organizational Law of the People’s Courts. How to reorganize the Chinese judiciary and what professional status Chinese judges should have and work under will affect how judicial reforms are implemented and less directly, more fundamental issues concerning China’s economy and society. What is the status of the judicial reform pilot projects outside of Shanghai? What is the status of some of the issues mentioned in the judicial reform documents? 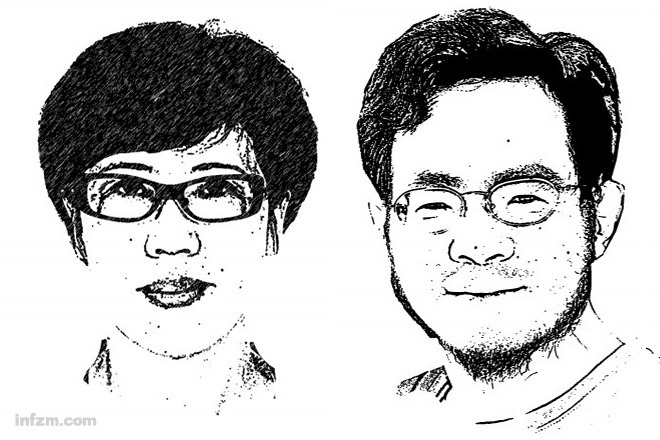 Why haven’t China’s judicial reform documents been made public? the Fourth Five Year Plan Judicial Reform Outline, a summary of which was issued on 9 July (blogpost analysis here and here). the Shanghai Judicial Reform Pilot Project Work Plan（上海市司法改革试点工作方案). A detailed description of how the Shanghai authorities will implement this (上海市司法改革试点工作方案>实施意见) has been released by both the Shanghai and national press (an English translation available here). The published reports on the Fourth Five Year Plan Judicial Reform Outline have mentioned that pilot projects would be implemented in Guangdong, Hubei, Jilin, Qinghai and Hainan, but no outlines of those pilot projects have surfaced. What is the status of those judicial reform plans? According to Southern Weekend, drafts for judicial reform plans for Guangdong, Hubei, Jilin, Qinghai, and Hainan are basically finished and have been submitted to the Central Political Legal Committee. They are awaiting approval. What is the status of some of the issues mentioned in the judicial reform outlines? The law professors stressed the need for legal professionals to be members of judicial selection committees. One noted that in China, the principle of “the Party manages cadres” (党管干部) cannot be avoided and suggested that judicial selection committee and Party organization department clearance could run parallel. It seems that the tension between Party involvement and professionalism in judicial selection remains an issue. Professor Fu echos criticism made by judges and others in the press that imposing a rigid quota system for the number of judges was inappropriate. She pointed out that at the basic level, having a system with fewer than 40% judges was unworkable, given that the Chinese courts at the basic level had to deal with large number of minor offenses. The reason was that China had not yet established separate courts to deal with minor offences [the Supreme Court Monitor notes that pilot projects for these courts are underway in some areas]. Another issue is the many responsibilities that Chinese judges have in addition to hearing cases and how a smaller number of judges will be able to hear cases as well as carry out their other responsibilities (research, compiling judicial statistics, promoting the courts). Why haven’t the current judicial reform documents been made public? The professors note that they themselves have not seen the judicial reform documents either. They suggest that policies for many issues have not been worked out, but that the uncertainty about the direction and content of the reform policies has a negative effect. It seems likely that the upcoming fourth plenary session of the Chinese Communist Party’s 18th Central Committee, on rule of law, in October will give us more certainty about the direction and content of the judicial reform policies. In the meantime, the issues and their implications give us all much to think about. an long explanation by HeXiaorong, the leader of the working group on judicial reform (of the Court’s judicial reform office) on the theory, logic and implementation of the judicial reforms. The statement by Meng Jianzhu , made after he heard reports on the implementation of judicial reform pilot projects in six areas, stressed that the Central leadership considers the judicial reforms very important and has given a set of policy instructions on the implementation of the reforms. He calls on all involved in various political/legal organs at all levels to implement the reforms. ensure enthusiasm about the reforms, otherwise they may fail. A long article by He Xiaorong published on 16 July in the People’s Court Newspaper and other Court media outlets summarizes the thinking behind the judicial reforms (and what must have been the hundreds of pages of policy papers that underly what has been made public). It is an edited version of a fuller paper, that has been issued on Wechat and perhaps other outlets (and is said to express He’s own thinking). For those seeking to understand the judicial reforms, it deserves close analysis. A flash analysis will follow when time permits. On 9 July, the Supreme People’s Court issued its fourth five year reform plan for the courts, approved by the Party leadership, which sets out 4 broad areas of reform, relating to 8 general areas. An overview has been released on Wechat and other Chinese social media and can be expected to be published very soon in more traditional media. An clear info graphic was published on the Court website and other official media, translated here. The Court described it as taking first steps towards establishing a judicial system with Chinese characteristics and is intended to roll out reforms announced in the 3rd Plenum decision and the judicial reform decision announced earlier this spring and some of its themes were highlighted in press releases published just after Chinese new year. Many of these issues are ones that have been discussed within the Chinese legal community for many years and draw on international expertise as well. The summary below highlights five of the eight broad areas. the establishment of provincial level selection committees, will involve clearance by Party disciplinary and other functions, and retain appointment by the people’s congress. Personnel reforms will also involve splitting the management of judges from other judicial personnel, such as judicial police and clerks. Additionally, reforms are intended to the use of judicial headcount, to focus that by increasing the number of judges. Two other reforms involve establishing new systems for judicial promotions and establishing differing criteria for the recruitment of different types of judges. taking steps to take certain cases, such as some environmental and commercial cases out the local administrative jurisdictions, so that they can be heard fairly. Reform some of the lesser known courts, such as the forestry courts, to bring them into the ordinary court system. Establish a system for circuit tribunals at provincial level to hear difficult cases, and focus on environmental cases. In areas where there are more intellectual property cases, promote the establishment of intellectual property courts. improving the system of responsibility of the primarily responsible judge and the panel that heard the case. Changing the system of signing judicial decisions. Improving the monitoring of judicial performance. Importantly, reforms look to change the current relationship between the judge responsible, the tribunal, and others in a position of leadership within the courts, such as the head of the division and court president. There has been a great deal of academic writing about this, in both English and Chinese, as well as articles written by judges serving at various levels. A great deal of thought has gone into this section and implementing these reforms will involve changing long-term patterns of interaction. Eliminate the use of illegally obtained evidence. Improve the role of the defense lawyer and the statement by the advocate for the defendant. Improve systems for pursuing judicial negligence. Improve the protection of assets relating to [criminal cases]. Improve reforms in the area of minor crimes, so that those cases are heard more quickly (pilot projects are underway in some areas). These reforms represent the result of years of discussions within the judiciary, with lawyers, academics, and interactions with members of foreign courts, research into foreign legal systems, and others. Make the hearing stage more open, by improving the system of announcements and permitting spectators to attend court hearings, increase real time broadcasts of hearings. Improve the handling of judicial information, so that litigants can determine the status of their case on-line. 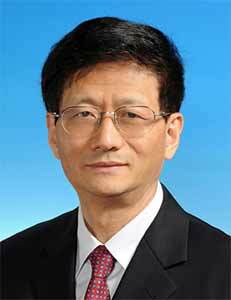 Improve the judicial decision database, Judicial Decisions of China. All of these reforms are good practical proposals. Foreign observers of the Chinese courts would welcome easier access to Chinese court hearings. Drafting this reform plan has been a tremendous undertaking and its implementation promises to be even more challenging. Some of the reforms discussed above are the subject of pilot projects in various parts of the country, ranging from Guangdong and Shanghai, where the courts have heavy caseloads and face cutting edge cases, to less prosperous inland provinces. Reforms are likely to start with what is most easily implemented and where results can most easily be achieved. What this means for some of the specialized courts, such as the military and maritime courts, will be clarified in time. The extent to which these reforms can change patterns of interaction within the judiciary and between the judiciary and government/Communist Party of many decades standing remains to be seen. It is hoped that the pressure of greater professionalism within the judiciary, and other social and economic forces will eventually result in a judiciary that better serves the needs of all. In a press conference on 30 April, the Supreme People’s Court (the Court) announced that it will more systematically use model (typical) cases (典型案例) to guide the lower courts. The Court is increasingly using model/typical cases. My recent blogpost explains what model cases are, which courts issue them and the authority of model cases. One of the initiatives the Court highlighted in its October 2013 judicial reform plan is “expanding fully the important role of leading cases and cases for reference.” because its leadership considers model cases an important supplement to legislation, judicial interpretations, and “guiding cases” (a special category of cases so designated by the Court). Mark Cohen, of chinaipr.com, has blogged on the Court’s use of model cases in the area of intellectual property law. improving security in medical institutions. Although the Supreme People’s Court co-issued this document, it is not a judicial opinion. It is a policy document. the four levels of the courts–clarify their role and position. what will it mean for local protectionism. internal organization of the courts. The “Everybody Discuss Judicial Reform” website is a joint project of the national court website, justice website (Supreme People’s Procuratorate), and the China Law Society. It is a forum for eliciting discussion on important issues for which the institutions must already have framework plans.